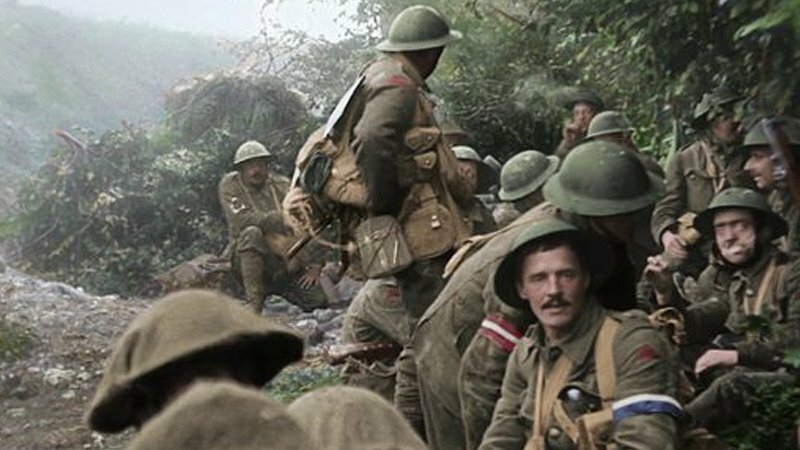 Peter Jackson’s popular World War I documentary They Shall Not Grow Old is getting an expanded release. The film will expand to 500 theaters across 150 markets throughout the U.S. and Canada on Friday, February 1 following special pre-shows on Thursday night. The news comes on the heels of the documentary’s record-setting Fathom Events dates where it posted $8.34 million, making it the highest-grossing U.S. Cinema Event release ever. They Shall Not Grow Old is produced by Jackson with Clare Olssen. It was edited by Jabez Olssen (The Hobbit trilogy). Jackson’s WingNut Films produces with House Productions executive producing. The film is commissioned by 14-18 NOW and Imperial War Museums in association with the BBC and Executive Produced by House Productions. The documentary combines original footage from Imperial War Museums’ film archive along with audio provided by the BBC archives. The video footage has been both colorized and converted into 3D, and the voices of actual veterans combined with archival footage to bring the reality of WWI front-and-center like never before. Jackson is a bonafide WWI aficionado, having previously curated a Great War museum exhibition in New Zealand, as well as directing the 2008 short narrative film Crossing the Line about two young soldiers preparing for battle in WWI. They Shall Not Grow Old will hit theaters in a limited release on December 17 and 27 with the help of Fathom Events.